You are a nurse by profession, but at the end of the day, you are a human being…with human needs. When you’re aware of your needs as a whole person you can greatly improve your state of well-being and, in turn, become a better caregiver. Here are four psychological techniques I recommend to take care of yourself and your patients. 1. Punch in and punch out. It’s vitally important for a nurse to have a life outside of work that’s rich and full. Cultivating hobbies, having a full social/family life and exploring passions outside of the workplace have many benefits in how they relieve work stress. Nursing is a high-stress profession, so it’s a good idea to remember that this is what you do for work. Work is one part of your life, even if your work entails saving lives. 2. Avoid “taking ownership.” This is huge! It’s important to keep perspective: You are not alone in the care of the patients. Thinking you’re the most important cog in the delivery of care to patients will invariably lead to emotional stress. A tight sense of ownership can lead to big hurts when something goes wrong in the care of the patient. Rarely is it one individual’s fault when a patient’s health declines. Understanding the scope of your role can help you cope with the ups and downs of healthcare. 3. See your patient as a whole person. Treating patients with utmost respect and courtesy includes recognizing their history, loved ones and life outside the hospital. I advocate approaching each patient as if he were a family member of your own. This sounds idealistic, but I’ve kept this attitude for more than 25 years of practice and it helps tremendously in my care of patients. 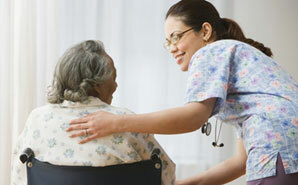 They cooperate more in their care and treatment compliance is greatly enhanced. 4. Use visual imagery to cope with stress. Our greatest source of fear is the unknown—or the need to make the unknown more predictable. Try using your instincts to be prepared. Use your training and education to predict just how the patient and her condition will respond to the care she is receiving. How does the current patient compare with previous patients that you’ve had and your experience with them? Being right about your predictions is not as important as being ready to care for the patient. Doing this exercise of prediction and imagery will make you better prepared to face each patient’s outcome and to cope with the stress of a new case. In the best-case scenario, these exercises will increase your effectiveness and efficiency as a dedicated caregiver.